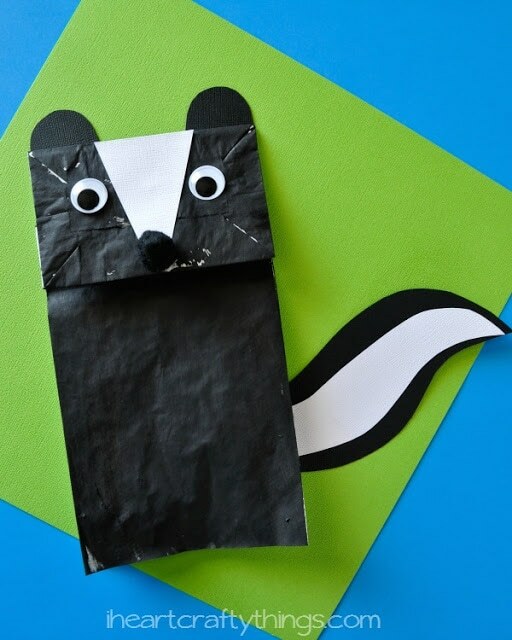 Our love for paper bag puppets continues today with this adorable Paper Bag Skunk Craft for Kids that I’m sharing with you today. It came about after my daughter and I had a random conversation about skunks last week. 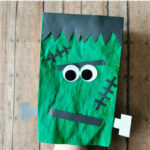 I love how spending one-on-one time with my kids sometimes inspires fun kid crafts. 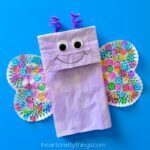 I traced all of the pieces we used and created a free pattern that I’m sharing with you to make the craft super simple. 1. 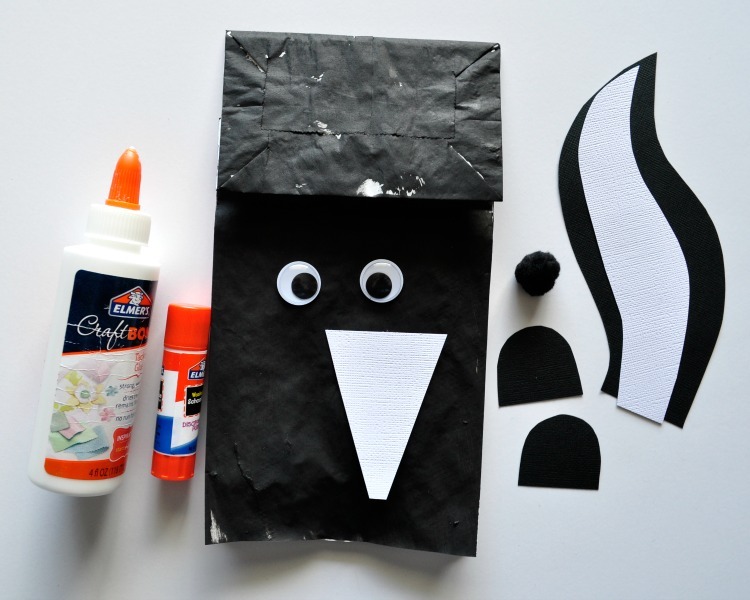 Paint the front of your paper bag with black paint and set it aside to dry completely. I always cut about an inch off the bottom of my paper bags prior to painting them because it’s a more ideal size for my preschooler’s arm. 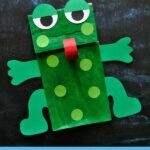 That is completely optional and will of course depend on the age of the children also. 2. Print off the paper bag skunk pattern and use it to trace the pieces you’ll need on your black and white cardstock paper. Trace the large tail and two ears on black cardstock paper and the tail stripe and face stripe on white cardstock paper. Cut the pieces out. 3. 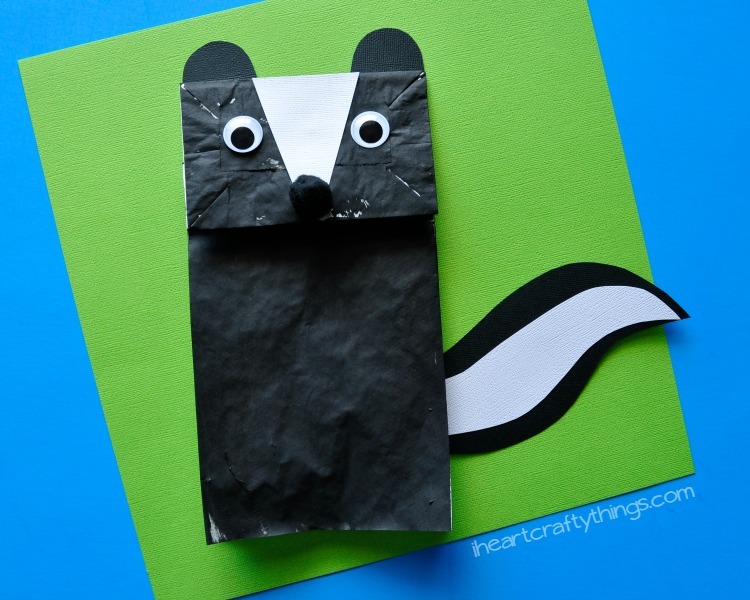 Assembling the skunk is super simple. 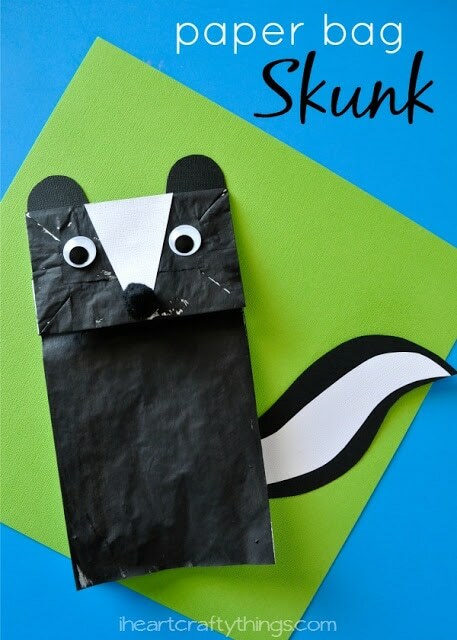 Glue the white stripe on the center of the skunk’s face and the two ears on the back side of paper bag at the top. 4. 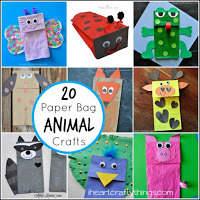 Glue the white tail stripe onto the black tail and then glue the tail onto the back of the paper bag. 5. Finish your skunk by using your tacky glue to glue on two googly eyes and the black pom nose.